Every piece of text is open to interpretation, none more so than email. Here’s why you should keep ‘em perky. Face-to-face communication is worlds apart from life online. When you text, write a comment, or shoot off an email, you lose all the nuance of conversation. Body language, tone of voice, and facial expressions are not just decorative garnishes! They dictate the flavor of the conversation and without them, we’re left open to misinterpretation. Emails, in particular, have a tendency to be taken up the wrong way. When you click ‘send’, you sadly don’t transmit the smile on your face, so typically emails are interpreted more negatively. That’s why it’s essential to learn how to punctuate your emails with positivity and empathy to avoid miscommunication. When two people speak in person, they unconsciously track each other’s nonverbal cues moment to moment, down to the microsecond. This happens because part of the brain called the social brain activates in both partners and keeps the pair in sync. A feedback loop picks up the nuances of your conversation partner’s expressions and tells you how to adjust your behavior accordingly. It’s a kind of neural call-and-response mechanism. Leading social neuroscientist Daniel Goleman researches how this function of the social brain operates, and the consequences of its disablement when we communicate online. We tend not to realize that important nonverbal social cues are not written between the lines of our emails. Goleman explains that in online communication the lack of conversational nuances creates a negativity bias. This means that if you intend your email to be positive, it will be read as being neutral, and if you write an email with a neutral tone, it will likely be interpreted as being negative. For example, writing ‘okay sure’ in response to a request from your boss can easily be read as being clipped and dismissive, because the written words don’t deliver the soft tone of voice and smile you would have used in person. To counteract the negativity bias you need to be more positive and engage with your empathy in online communication. 1. How do they feel: are they stressed, excited, angry? 2. What do they expect from me? If the answer is ‘my boss is stressed with a project deadline and doesn’t have time to read my proposal for new office plants this week’, don’t wax lyrical, giving the ins and outs of plant air ventilation and price comparison spreadsheets. Instead, send a short email letting your boss know that you have suggestions for office improvement, you’ve done your research, and are ready to share your ideas when it is a convenient time for them. Effective emails strike the right balance between being concise and sounding considerate. To prevent further miscommunication, it’s important to avoid flaming. When you quickly fire off a message in a stressed or agitated state, and instantly regret sending it, this is the universally rife phenomenon of flaming. You can prevent yourself from making this emailing error by taking a moment to pause before clicking send and considering how the email will be received. By keeping the steps of empathic emailing in mind, you have the tools for writing a well-received message that’s in no danger of causing a communication breakdown. Hopefully you now feel well-equipped to communicate a positive tone with more elegance and professionalism than an emoji. The key takeaways for avoiding unnecessary conflict are: maintain positivity over email, and for difficult conversations always favor face-to-face discussions. 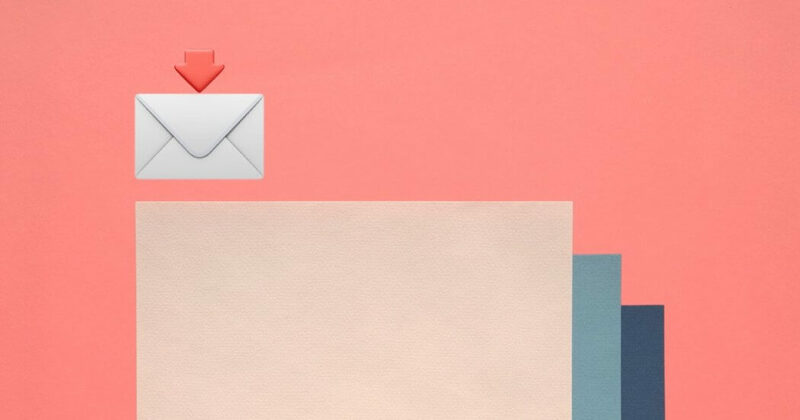 For more insightful tips on how to navigate online communication, manage inboxes, and craft concise emails, try Unsubscribe by Jocelyn Glei. Fionnuala studied philosophy and psychology and is now a freelance writer living in Berlin. She loves cinema, saxophones, and swimming in the sea. What’s her magic? Rollerblading.